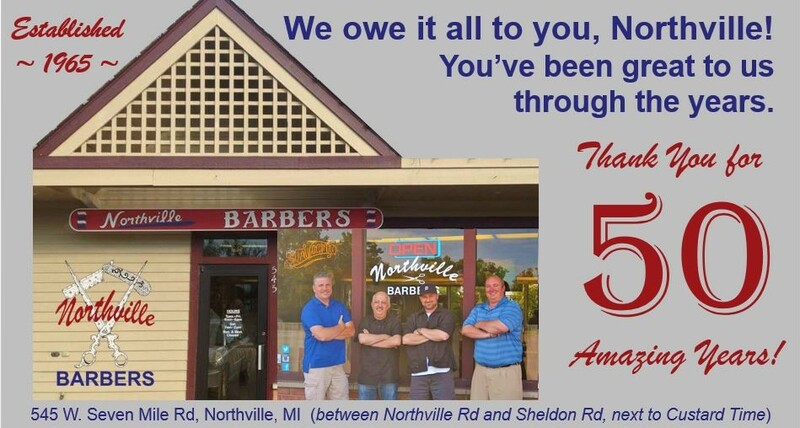 Northville Barbers is celebrating it's 54th year in business serving the city of Northville and the surrounding community (ca. July 1965). We are committed to being the best old-school men's barbershop in the area. 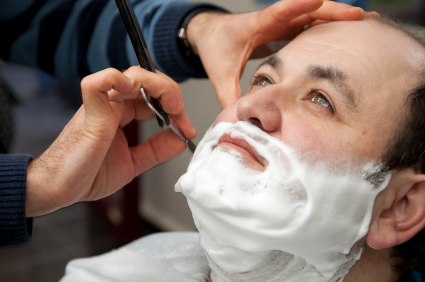 Serving up classic cuts and hot lather razor shaves, in a nostalgic, "Man-Cave" atmosphere. We are dedicated to being a destination for men to relax and recharge. We hope to welcome you through our door very soon! Best haircut I've had! Old-school, 20-plus minute cut with warm lather straight-edge razor cleanup to finish. And a great cut as well. Service, detail and personal touch. Worth all $16. Do this and u will never do the Salon thing again, where you feel like you are being rushed through an assembly line by someone fresh out of beauty school who still doesn't know how to hold scissors. Barber shops are only as good as the barbers that work there, and this one has two excellent barbers: Isaac and Jeff. I have been coming here for years and know a good traditional barber which this shop has. Isaac is top notch! 5 stars for Northville Barbers!!! Stumbled upon this gem while running a sales call, needed a clean cut before my presentation. My barber was Jeff. Nice guy. Did a great job, cleaning up my mess of a mop. Hometown feel, sports memorabilia, & flat screen w espn is always a plus. Will always stop in when in need of friendly affordable barber service. "Proudly grooming the men of Northville for 54 years"